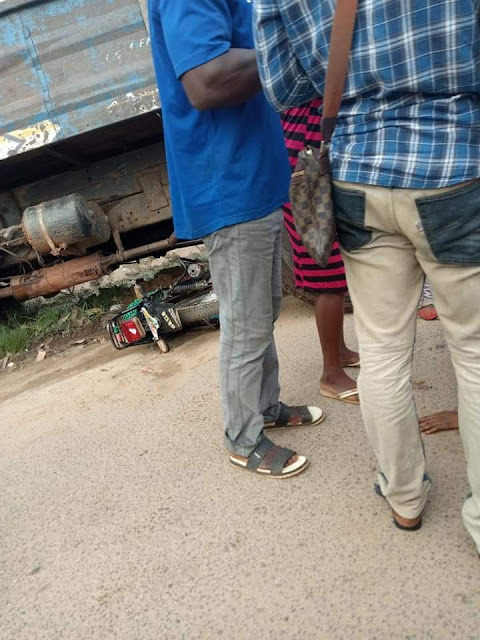 The life of a lady will never be the same again, because the bike she used to drive to work yesterday was involved in an accident with a truck. 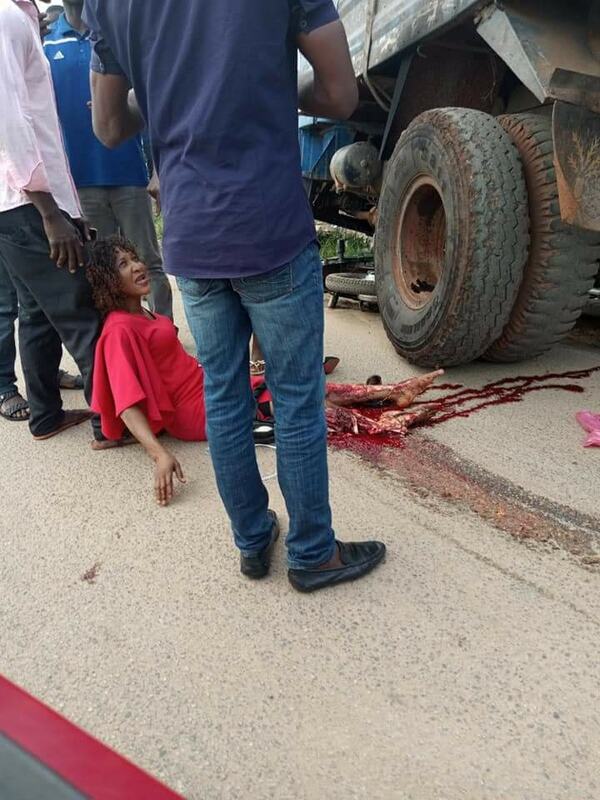 According to Facebook username Patrick Austin, who shared the story and the photos, the truck rammed into them and crushed and broke the lady's legs on the spot. However, he did not explain the condition of the motorcyclist ... It is possible that she got away unhurt. The painful photos below ... Very graphic people, very graphic!